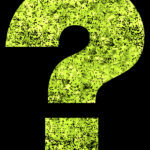 Who Are the Parties to a Debt Collection Lawsuit? Being sued for a debt is stressful enough. 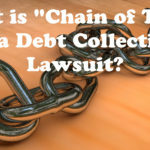 The process is made even more stressful when it is unclear who all the various parties to a debt collection lawsuit are. In every lawsuit, the party who brings the suit is called the “Plaintiff”. 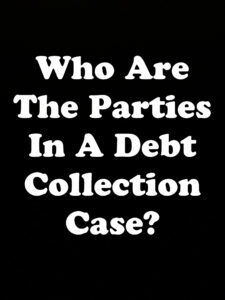 The Plaintiff in a debt collection lawsuit is either the party who claims to have extended you credit or that party’s successor. Whether you are dealing with the original creditor or its successor is an important distinction because different evidence may be needed. There is an industry out there waiting in the shadows of traditional banks, credit card companies and doctors to buy up, for pennies on the dollar, portfolios of debt from the people with whom you originally did business. These bottom feeders are called debt buyers and they make boat loads of money collecting old consumer debts. 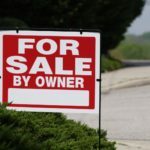 Debt collection lawsuits brought by debt buyers differ significantly from those brought by original creditors because debt buyers often lack the proof needed to win the case. In a debt collection lawsuit, the Plaintiff always has the burden to prove that the consumer is responsible for the debt. 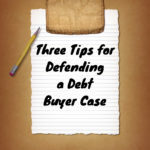 To meet this burden, a debt buyer must prove that (1) it has the right to sue you; (2) the debt is yours; and (3) you owe the amount for which you were sued. I every lawsuit, the party being sued is called the Defendant. 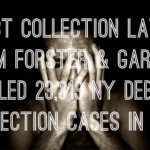 In debt collection lawsuits, it is NEVER the burden of the Defendant to prove that he or she does not owe the debt. 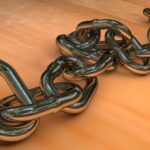 However, even though it is not the Defendant’s burden, the Defendant must still answer the lawsuit and defend against the Plaintiff’s claims. Hiring a lawyer to defend you in a debt collection lawsuit will inevitably better protect you than if you proceed self represented (called “pro se”). However, hiring a lawyer sometimes isn’t possible and sometimes just doesn’t make any economic sense. For example, when the lawyer will charge more than what the debt collector is trying to collect. In every debt collection lawsuit the Plaintiff is represented by an attorney. 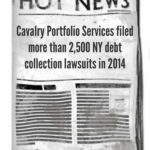 In most areas, there are just a small hand-full of law firms that bring all the debt collection cases in those courts. Here in New York and New Jersey those firms include Mel Harris & Associates, Eltman, Eltman & Cooper, Forster & Garbus, Pressler & Pressler, Daniels, Norelli, Scully & Cecere, Selip & Stylianou, LLP (formerly known as Cohen & Slamowitz) and Rubin & Rothman. These debt collectors act more like a glorified collection agencies than they do traditional law firms. In fact, they all employ far more collection agents then they do attorneys. The debt collection attorneys use the courts as a powerful tool to force consumers into paying. 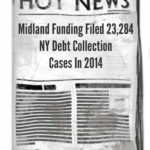 If the Plaintiff is successful in its debt collection lawsuit, it is awarded a “judgment” by the court. 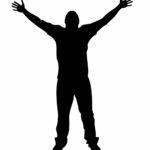 Once the judgment is awarded, the Plaintiff is then routinely referred to as the “Judgment Creditor” and Defendant is referred to as the “Judgment Debtor”. With a judgment in place, the Judgment Creditor will try to enforce the judgment by freezing bank accounts and garnishing wages. Each county has a Sheriff and in the five boroughs of New York City there are the City Marshal’s. Among their many duties is the enforcement of judgments. It is the Marshal or Sheriff who, upon the direction of the Judgment Creditor, collects garnisheed wages from employers and cleans out frozen bank accounts. 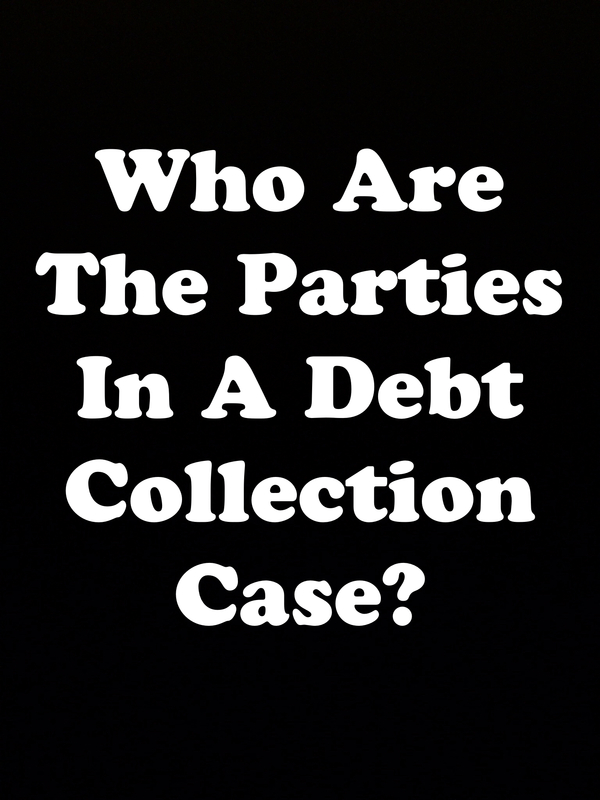 Knowing who all these parties are and the roles they play is an important part of navigating the unsteady waters of a debt collection lawsuit. However, this understanding is just a beginning to the fight. You are always bettered protected when you are represented by a skilled and experienced attorney. Consider speaking with a debt defense attorney to better understand your options and the cost of defense. 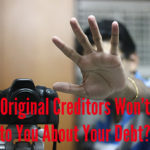 What’s the Difference Between a Debt Buyer and an Original Creditor?